Your metabolism is like your car engine. It can be high performance or it can be sluggish. Want to keep your body up to speed? In Health Matters, Heather Brittany gives you the fuel to fire up your metabolism. Are you anxious to reboot your career? Are you fearful about being too old. Interning may be the answer to getting you your next great job. 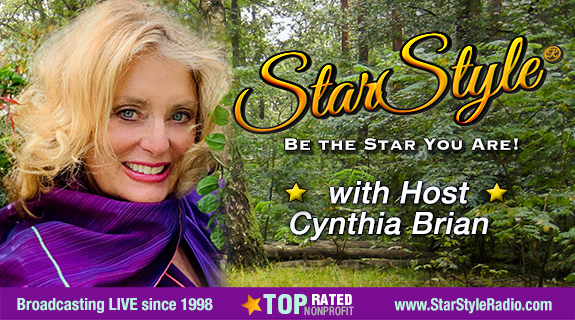 https://www.voiceamerica.com/show/2206/starstyle-be-the-star-you-are 23/04/2019 10:00 23/04/2019 11:00 Starstyle®-Be the Star You Are!® https://www.voiceamerica.com/show/2206/starstyle-be-the-star-you-are Your metabolism is like your car engine. It can be high performance or it can be sluggish. Want to keep your body up to speed? In Health Matters, Heather Brittany gives you the fuel to fire up your metabolism.